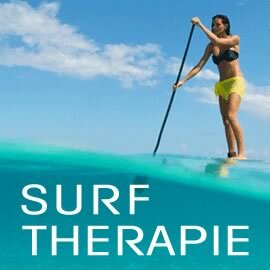 The idea of the SUP YOGA originally was broad up by the « yogini surfer » SHIVA REA who practiced yoga on her surfboard while waiting for a wave. 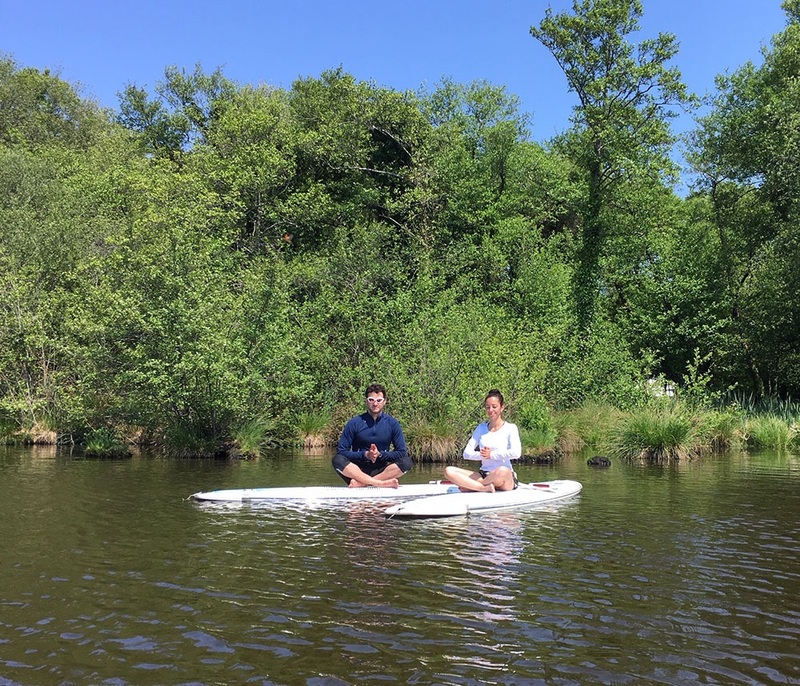 By associating Pilates, this new discipline allows us to observe its limits and respect them, all our senses are stimulated by nature, bringing balance and restoring all body systems, creating physical, mental and spiritual harmony. 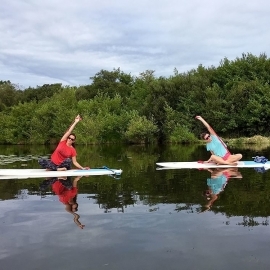 Through the energy of the water SUP Yoga – Pilates is a real » Prana flow » and meditative source. 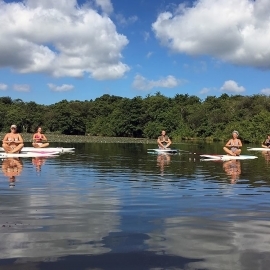 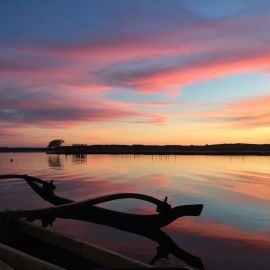 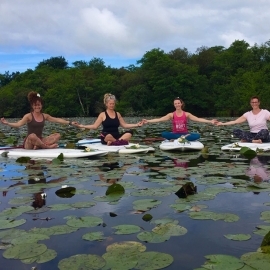 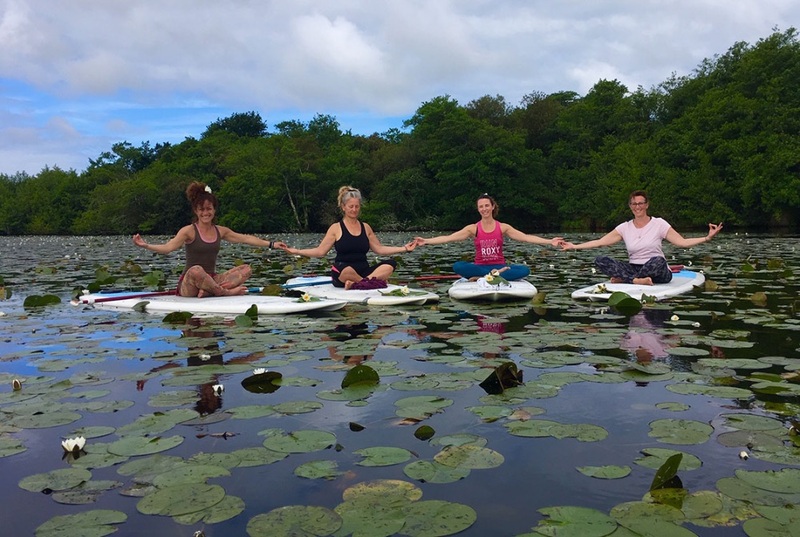 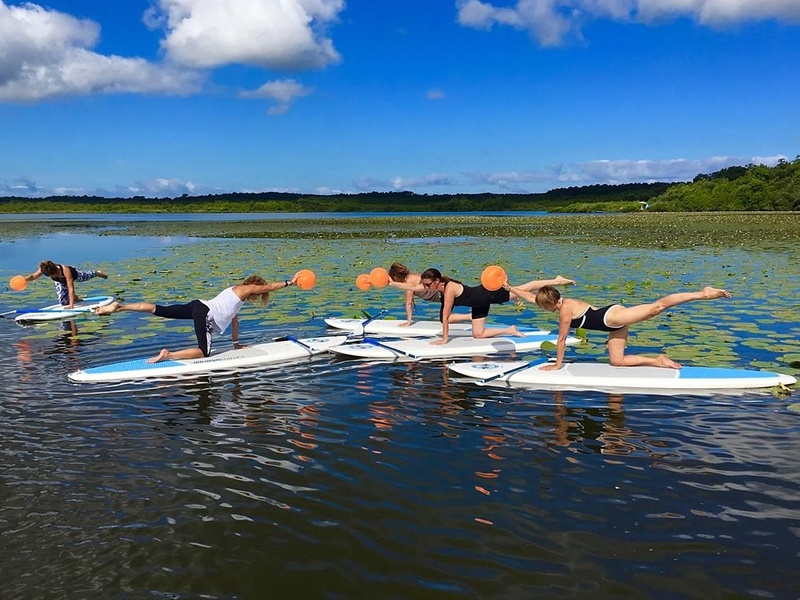 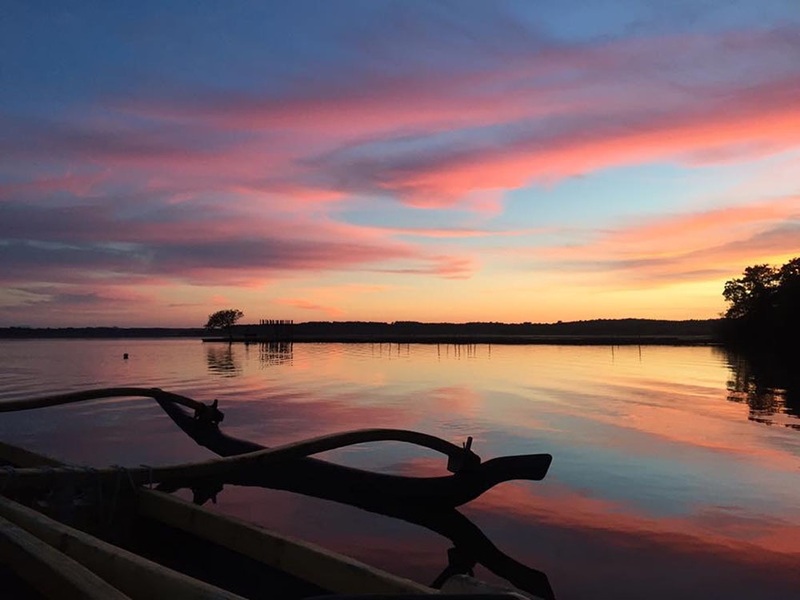 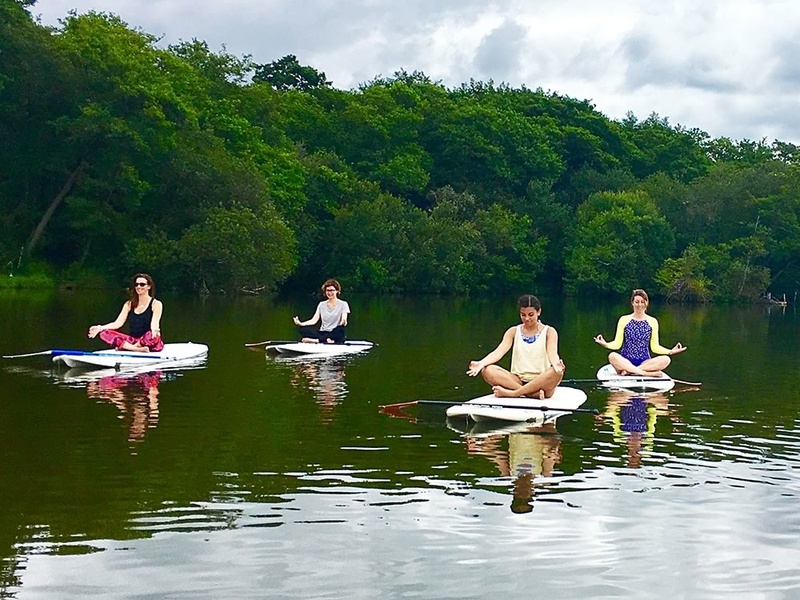 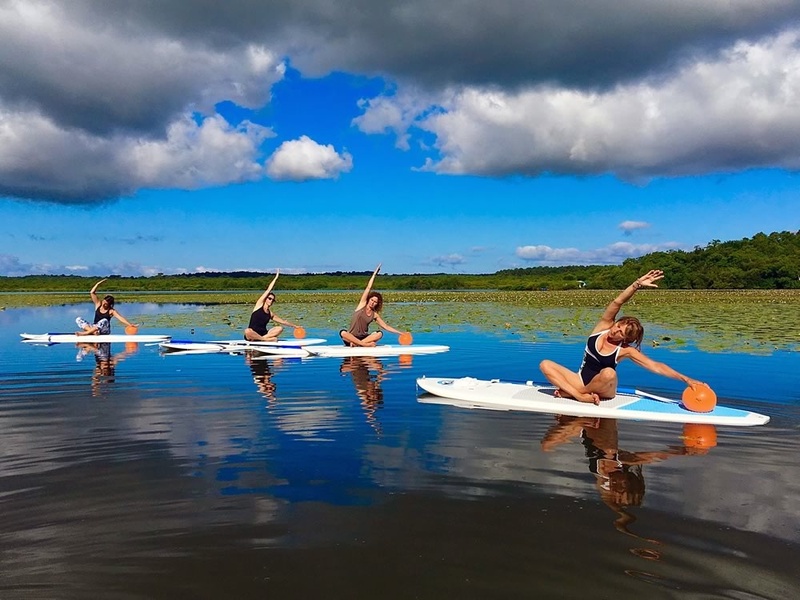 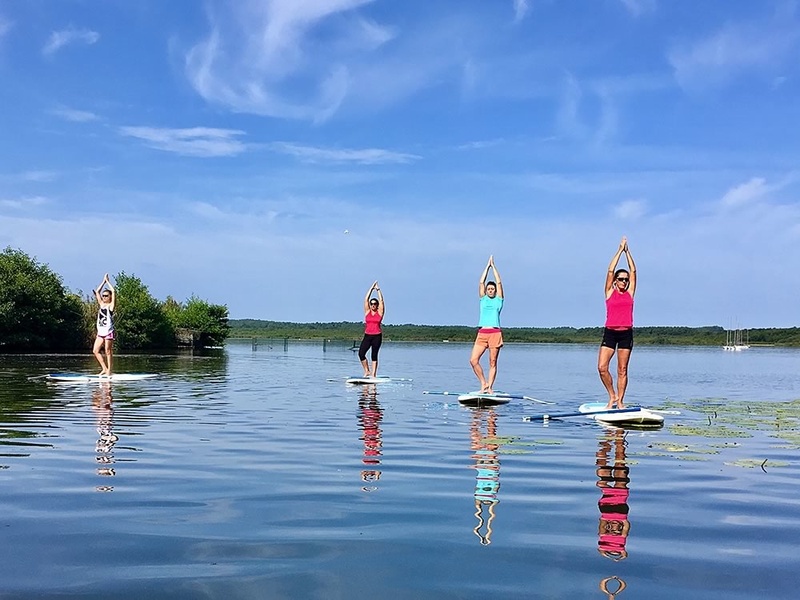 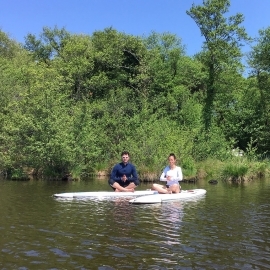 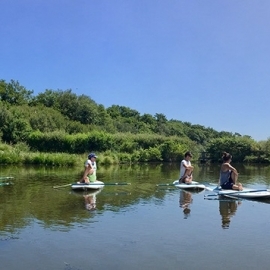 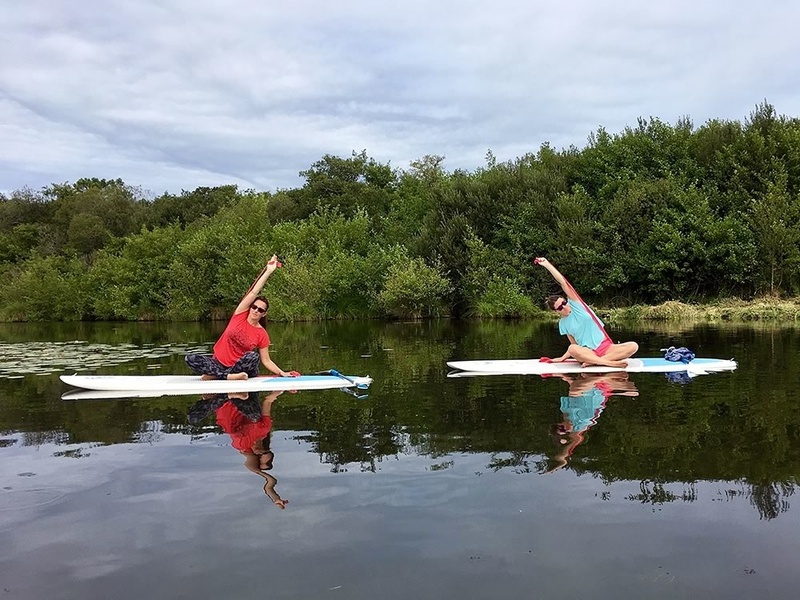 The technique of Yoga and Pilates combined with the SUP ( Stand up paddle boarding which is practiced standing on a large board with a paddle ), stabilized by a small anchor, is accessible to everybody from the first session, maximum pleasure and an excellent tool of training and one which maintains physical fitness. 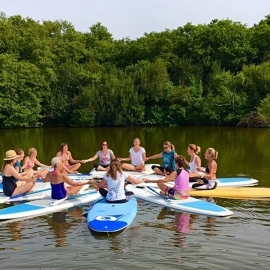 The mix of the 3 is a fun and effective technique and guarantees a healthy and sporting holiday. 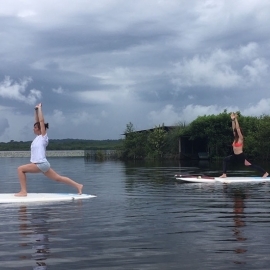 Concentrating on our balance so as not to fall, the present moment is lived to the full. 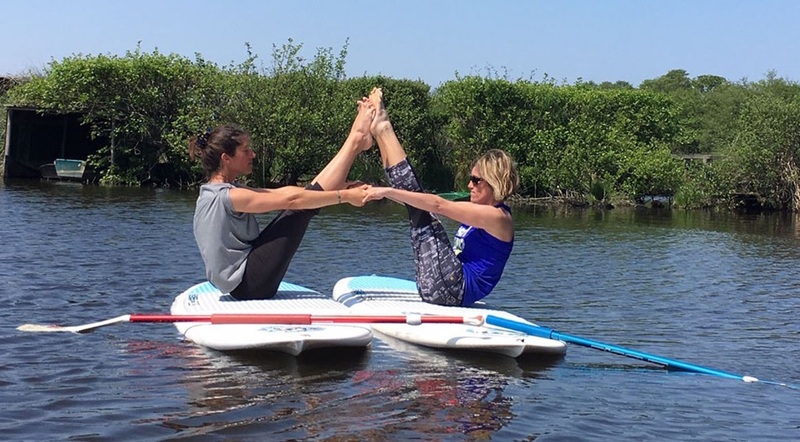 It is advisable to know the basics of Pilates before taking the formula SUP PILATES. 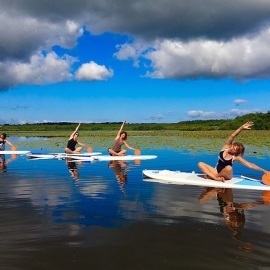 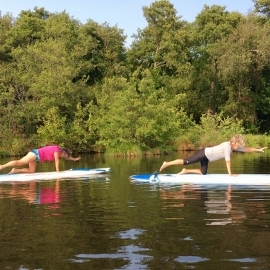 The SUP YOGA PILATES … With a little practice you can do everything. 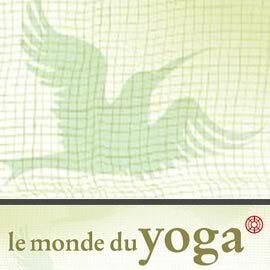 To try is to adopt an assured well-being ! 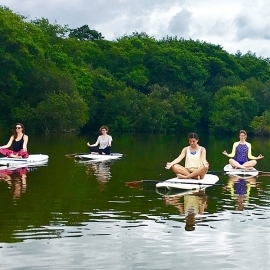 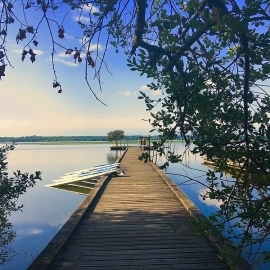 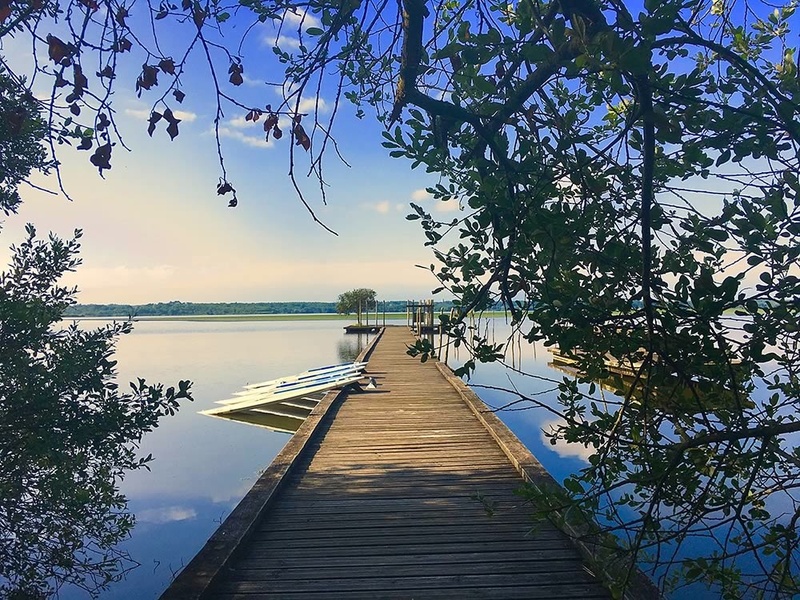 SUP Yoga or Pilates is available between April and October on "Lac d'Azur" by reservation. 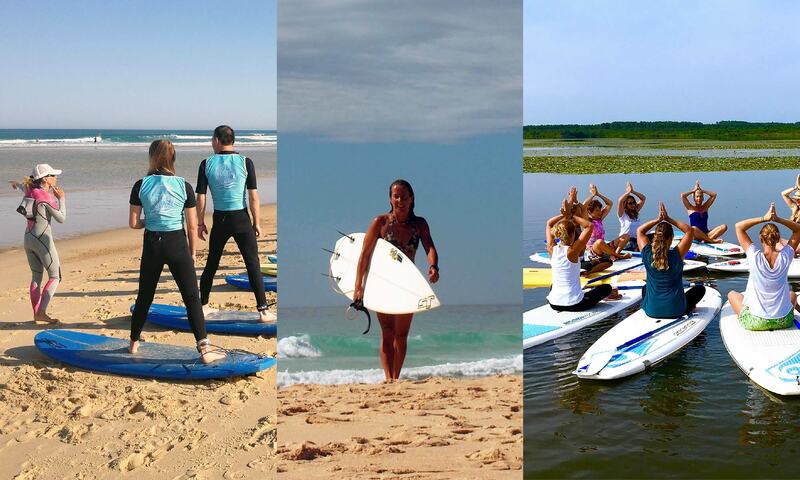 It's possible to customize your package according to your needs: private/ duo/ groupe. 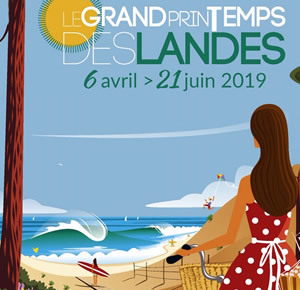 The sessions take place on "Lac d'Azur", at the SUPLAND nautical base. 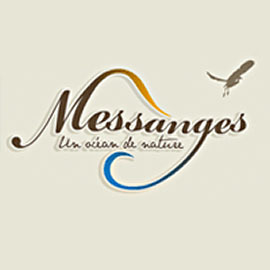 Off saison rates (april, may, june / sept., oct) : 10% off. 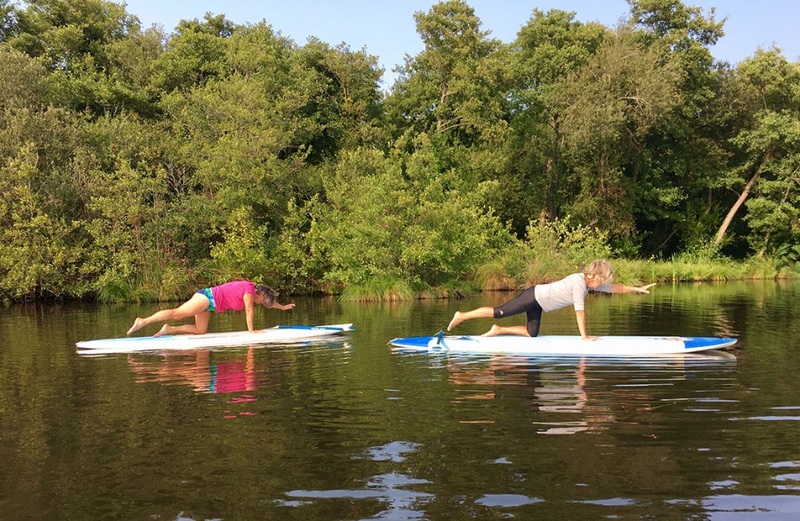 SUP YOGA / PILATES 1 x 1H30 RATES / PERS. 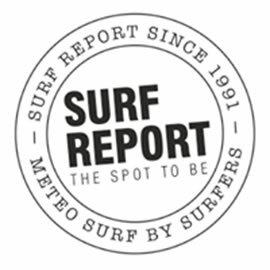 THE PACKS ENERGY FORCE BALANCE RATES / PERS. 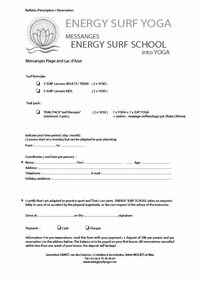 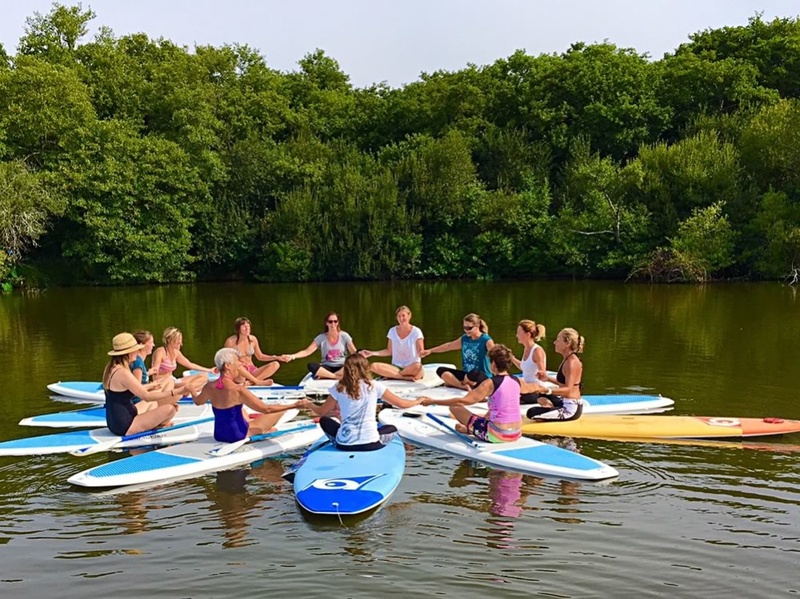 By booking your Surf or Sup Yoga pack by email for the period of July and August, you will benefit from a unique price for a training course of 5 sessions. 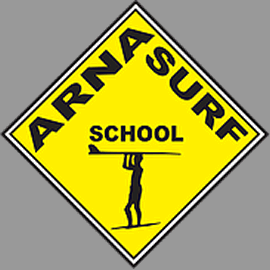 The deposit requested for training courses booked by email or by registration form is 30€ – see contact address at the foot of the page. 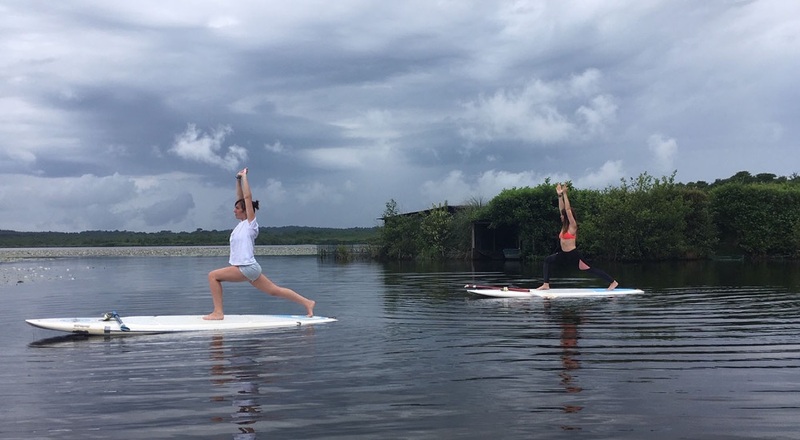 The balance is payable on your first lesson. 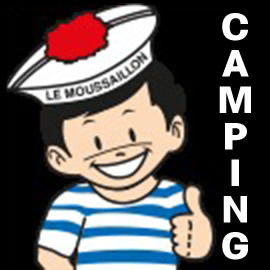 Any cancellation less than one week before the scheduled date will result in the loss of your deposits. 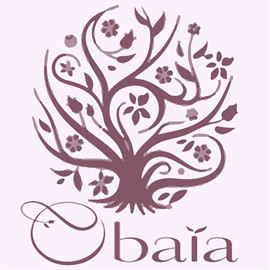 Please contact us for any reservations by email or phone or download our registration form.